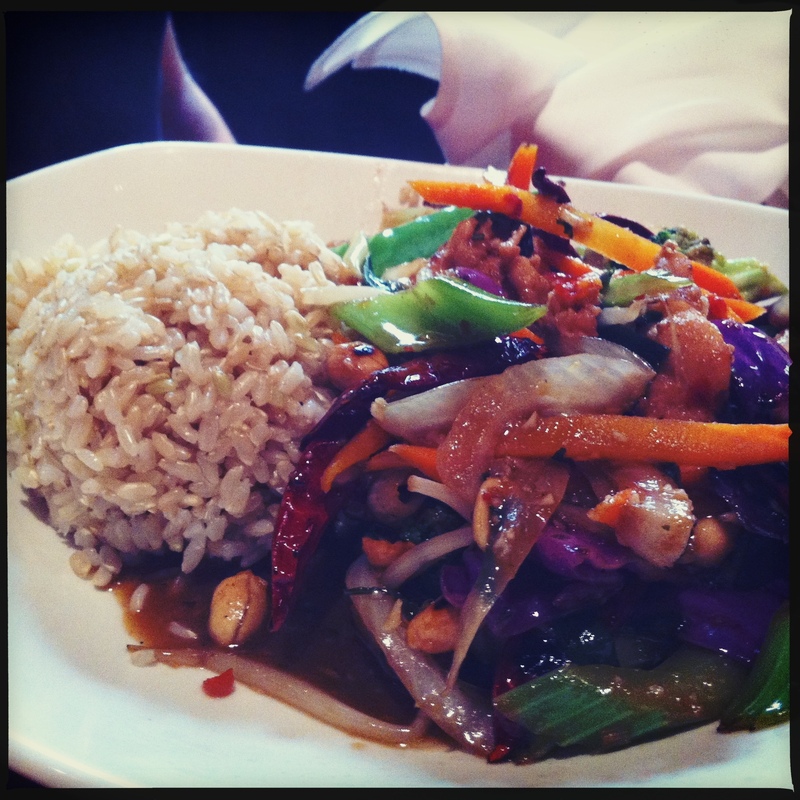 Stir Crazy | Oh No! Not Another NYC Food Blog! Big chain (I’m guessing) Mongolian style BBQ & full Asian fusion menu in the Palisades Mall. 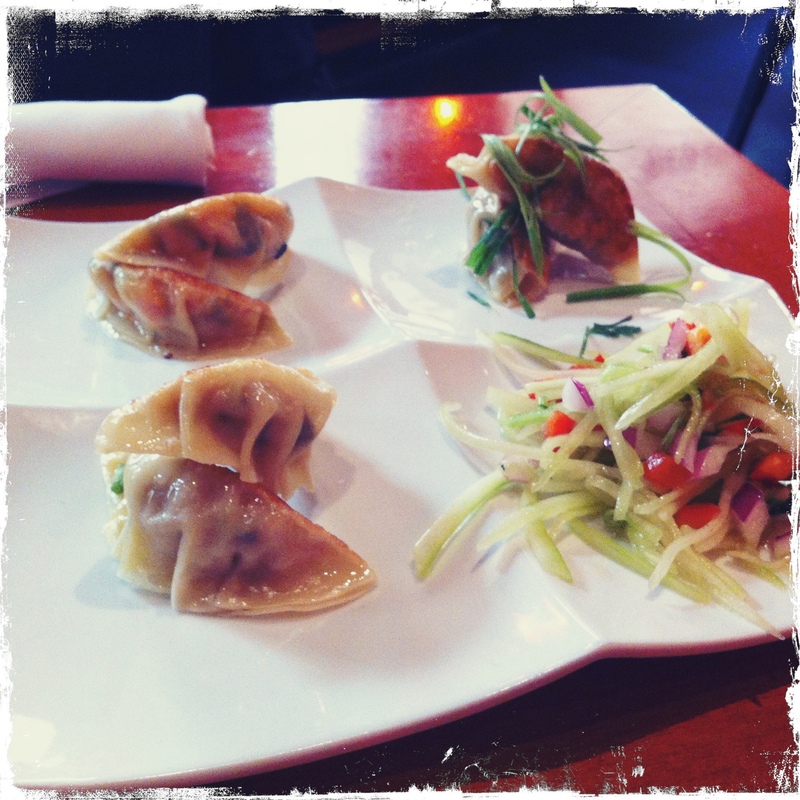 We started with the potsticker trio sampler – 2 each pork, lobster and chicken. All three were winners. Nice and flavorful, prepared well with a bright little Thai style cucumber salad alongside to clean the palate. This was accompanied by a trio of tasty sauces – coconut curry, fresh duck & ponzu. For a main course, I had the Thai BBQ Tacos On Parata (beef & chicken) – These were great, and that parata is addicting. The sauce on the beef was a touch sweet for my taste, but I was able to balance that out with lime. The chicken was better balanced out the gate. My DH had the Mongolian BBQ with chicken (aka Market Stir Fry) – We have sorely missed Mongolian BBQ over the past few years, having been spoiled by a glut of the stuff while living in NC. This wasn’t the very best rendition ever, but it certainly wasn’t bad. 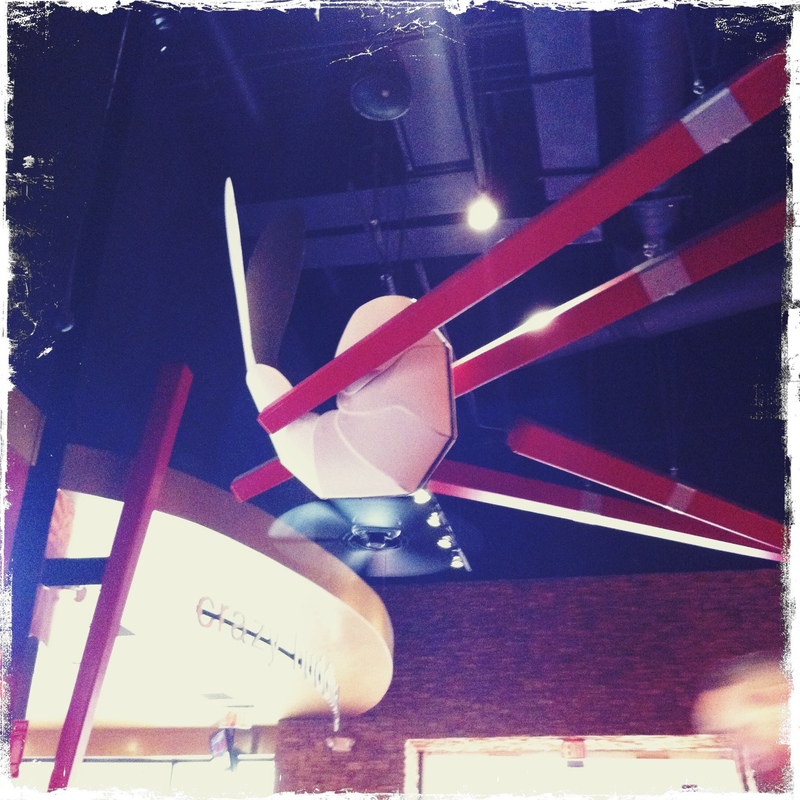 Wide open with kitschy oversized food sculpture hanging from the ceiling. Not the worst, but my food did take forever and a half to come out. Not a terrible spot for mall food. 3 out of 5 for interesting flavor combos but clunky saucing.